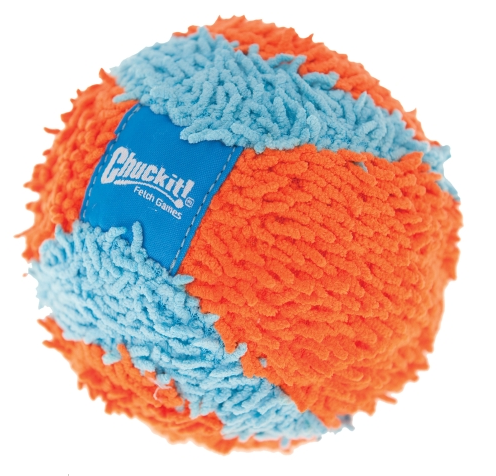 The ChuckIt Indoor Ball is a soft and accident-free version of a typical fetch ball. It is 4.7 inches in diameter, only 2.4 ounces, and great for playing fetch. The ChuckIt Indoor Ball is much larger than the classic ChuckIt Balls, which are a maximum of 3.5 inches in diameter for the extra large ball. These balls are best for small to medium dogs or puppies who aren’t heavy chewers, although gentle large pups will also love this toy.